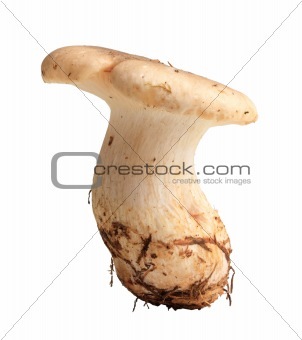 Image Description: Single fresh mushroom. Closeup. Isolated on white background. Studio photography.